Friendly faces and a natural landscape brought Business Administration major Tatenda Shumba a long way from home. 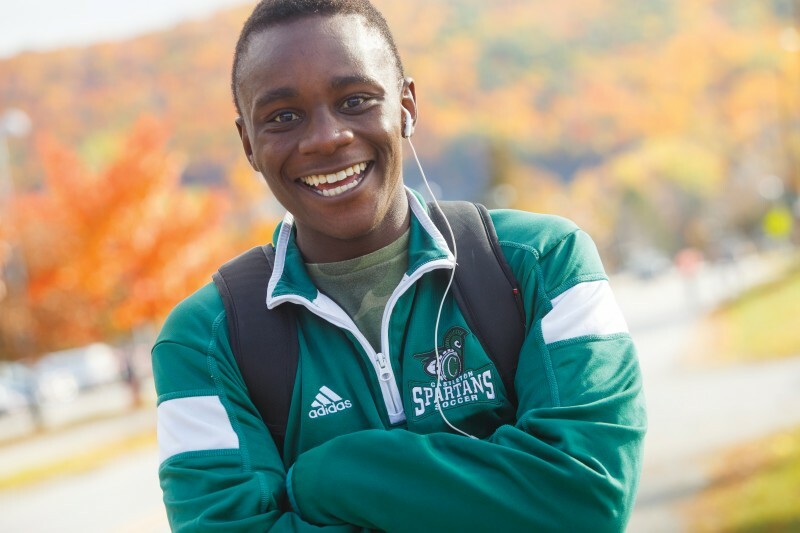 Originally from Zimbabwe, Shumba quickly connected with people on campus who have made his Castleton experience a memorable one. A member of the Men’s Soccer team, he is headed into his senior year as a forward on the field.